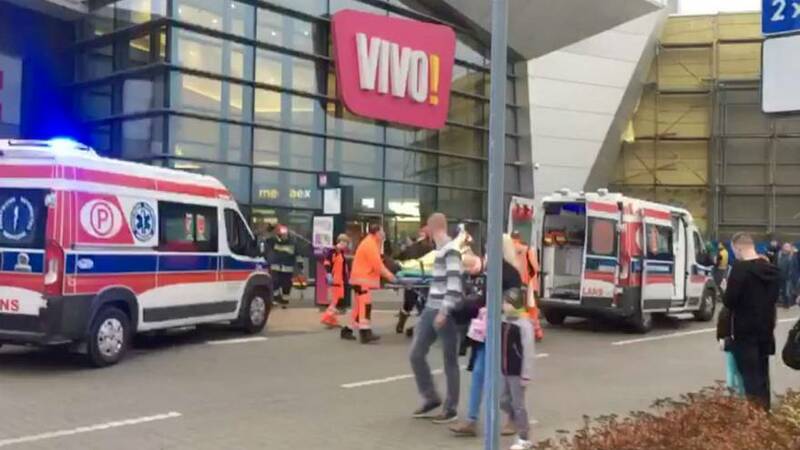 A knife-wielding man killed one person and injured seven others at a shopping centre in southeast Poland, according to police. In a statement on their website they said police in Stalowa Wola, where the incident took place, were alerted to the event at 3 pm local time. A 27-year-old local man was “attacking people from behind, injuring them in the back,” the statement read. He was eventually stopped by a “gallery customer”. Eyewitnesses said the attacker was acting erratically before he started running around the VIVA shopping centre, cutting people randomly. Police said the man was detained and tested negative for alcohol. His motives were unknown. Local media identified the man as “Konrad K.”. Those injured were taken to hospitals in Stalowa Wola, Tarnobrzeg and Sandomierz. Interior minister of Poland Mariusz Blaszczak asked the governor of Podkarpackie, Ewa Leniart, to visit the site of the event immediately.